2019 Corporate Partners & Sponsorship Opportunities. I'm sure you have heard the proverb "It takes a village to raise a child". It is so true. "It takes an entire community to raise a child: A child has the best ability to become a healthy adult if the entire community takes an active role in contributing to the rearing of the child". That is where Head Start comes into action. 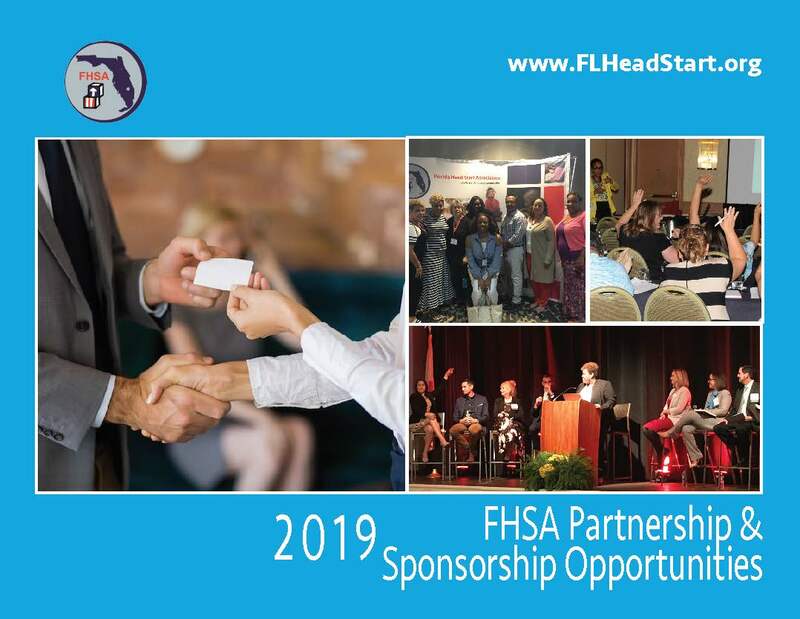 By supporting FHSA through our Partners Program or through sponsorship opportunities it help us provide the essential training programs necessary to help Florida grantees and delegates operating Head Start facilities. You are also helping support the association operations to continue our mission "To enhance and support the capability of local Head Start programs in the delivery of high quality services for our children and families". FHSA hopes you take the time to download the packet and review our 2019 Partners & Sponsorship Opportunities. We have designed some creative packages to help increase your visibility in the Head Start community all while having fun. These packages are guaranteed for one year during October 1, 2018 - September 30, 2019. These are on a first-come first-serve basis. Feel free to offer suggestions for additional opportunities not listed.